Name: ISMA's response to newspaper article titled " Sugar spike – Maharashtra mills want to import duty nixed". The article dated 16/2/2017, which appeared on Hindu Business Line titled “Sugar spike – Maharashtra mills want to import” is enclosed herewith. Kindly go through the detailed mail which will give you the factual position of the current situation. Hope this will clarify your doubts. I am grateful to you for your quick response. There are some factual inaccuracies and misunderstanding in your mind because of which the article written by you in Hindu Business Line gave a very different impression. First and foremost, ISMA’s estimate for sugar production given as first advance estimate in September 2016 for 2016-17 SS was 23.3 million tons and not 25.3 million tons as stated by you in your email. Let me mention to you that ISMA finalizes its estimates based on satellite images and state-wise estimates of yield, drawal and recoveries. This is done only after discussing the same in detail in its committee meetings, attended by elected senior members of the industry from across the country. From your article, it seems that you have been told that it is being done by one section of the country viz. North India alone, for their own benefit. In the meeting, members from the respective States give their numbers of estimated production for their State, which is discussed and decided in the meeting itself by the members of the Committee of ISMA. Therefore, the figures for a State is more or less decided by the representatives from that State, and not by the members from any other State. I hope you understand the meaning of this. For your information, more than half of the members of ISMA are from the Southern part of the country, including the State of Maharashtra, and all of them are very well represented in the committee of ISMA and were present in the meetings held in September, when we decided on the production estimate of 23.3 million tons. Therefore, your reporting that higher output projections were given by ISMA to help North based companies to benefit from price rise is inaccurate and totally misleading. Any price rise benefits sugar mills across the country, and cannot be said to benefit only one region. How can anyone not agree on this? You have also gone on to say that the worsening sugar crisis has pitted cooperative sugar mills of western and southern regions against north based mills represented by ISMA. Nothing can be far from the truth. First of all, sugar industry is doing better than previous years, and secondly, you need to know that for the first time in last few years, mills are able to cover their costs of production. You should also be aware that when ISMA made its estimation of 23.3 million tons of sugar production in September, 2016, the other apex association at an all India level, which represents the cooperative sugar mills across the country, viz. National Federation of Cooperative Sugar Mills Ltd. had also given their estimate at 23 million tons of sugar production. You must also be aware that the Government of India has also estimated sugar production in the current season at 22.5 million tons. I would also request you to look at all the news reports, analysis and estimates given out by experts from India and abroad, including from trade houses, in September 2016. Almost all of them were at around 22.5 million tons of sugar. Therefore, for you to single out ISMA in your article is not only biased, but misleading also. I am sure you will agree with this position. In your mail, you have written that ISMA has put out an estimate of 25.3 mn. tons against industry estimate of 20 mn. tons. I do not know which “industry” are you talking about. Both the apex associations i.e. ISMA and NFCSF had estimated sugar production at 23.3 mn. tons and 23 mn. tons respectively in September 2016. Which is the Industry which is giving you this number is not clear? We do understand that there are some market reports, given by individual companies and traders, which are suggesting an estimate of 20 mn tons. However, you need to note that these estimates have started coming up only from February 2017. All the same people spoke of much higher numbers close to 22.5 mn. tons, way back in September 2016. If you are talking about the estimate of 20 mn. tons now, as per market report, i.e. in February 2017, you need to remember and note that ISMA has already revised its estimates on 25th January 2017 (a press release was accordingly given) to 21.3 mn. tons. Therefore, if you need to compare the traders and individual estimates of 20 mn. tons, you need to also remember that ISMA has already revised estimates in January 2017 to 21.3 mn. tons, and compare with these numbers. In your mail, you have also said that ISMA had over estimated production last year at 27 mn. tons whereas actual production was 25.1 mn. tons. I hope by mentioning that you are not trying to assign any motive. If so, you also need to go back to the previous season where ISMA had underestimated the production at 25.5 mn. tons whereas the actual production was 28.3 mn. tons in 2013-14 SS. Last year’s estimate of ISMA at 27 mn. tons was similar to that of National Federation of Cooperative Sugar Factories Ltd.. Also, the Government of India had estimated their production for 2015-16 SS at 26 mn. tons. I hope that you will understand that estimation of sugarcane production depends on acreage, yield per hectare, drawal percentage by the sugar industry, recovery of sugar as well as several weather conditions, including timely rainfall, quantity of water for irrigation as well as day and night temperature. Nobody in the world, including the Governments concerned as well as a respected body like USDA, can boast of making an estimate which turn out to be 100% correct. It is an ongoing exercise and one needs to keep reviewing to make its estimation as good as possible. You will agree that despite the best of machineries with the Government, they have also not been able to make a pure accurate estimate of any agricultural crop, be it wheat, pulses, paddy or sugarcane. You have also said in your email that large quantities of sugar exports from Maharashtra and Karnataka last year were based on wrong crop estimation made by Northern mills. You are forgetting that the Government of India has a detailed system of collecting information from State Governments Sugar Commissioners as well as the Agriculture Ministry to prepare their own production estimates. The Government’s decision for exports was done on their own estimations. Secondly, you will remember that these exports were linked to a production subsidy and, therefore, the losses were covered through the production subsidy. Mills who did not export sugar have not been penalized and, therefore, one can say that the exports were more or less left to the commercial decisions of the individual mills. You must be forgetting that because of some of the surplus sugar getting exported, the domestic ex-mill sugar prices improved from extremely low levels of Rs. 19 per kilo in Maharashtra and Rs. 21 per kilo in U.P. to Rs. 33-34 per kilo in a period of 6-7 months, allowing the sugar mills to cover their costs. In your mail, you have also stated that farmers are suffering in the State of Maharashtra and Karnataka. Let me clarify that as compared to the past sugar seasons where the sugar prices were highly depressed, the current sugar prices are reasonably good and covering the costs of sugar mills, because of which the payments to the farmers are much better. Cane price arrears are under control and, therefore, I do not know what you mean when you say that farmers are “suffering”. Lastly, you need to also know, if you are already not aware, that the Association of the Cooperative sugar mills i.e. National Federation of Cooperative Sugar Mills Ltd., has in February 2017, written to Government of India against taking any hasty decision on sugar imports. I am sure you know that they represent cooperative sugar mills across the country and therefore, their views and submissions before the Government, would obviously be made after considering the interests of cooperative sugar mills also. Lastly, may I request you to please check with ISMA, before you write anything specific about or against ISMA. The last paragraph of your article of 15th February 2017 is clearly hitting out on the Association without checking the correctness of what you are writing. That is very unfortunate especially because those are factually incorrect. Hoping for better cooperation and understanding from you. Thanks for writing to us. The story "Sugar spike – Maharashtra mills want to import duty nixed" was based on the actual figures of production and information gathered from various reliable sources. As mentioned in my story, the production in Maharashtra as of January end was down 33 per cent and 25 per cent lower in Karnataka. According to sources production has fallen further as of mid-February. Almost all the sugar mills in Karnataka have closed down barring three in South Karnataka and 80 per cent of the mills in Maharashtra have closed due to cane shortage. As you know last year, ISMA had overestimated the production. When the actual production was 25.1 million tonnes as against ISMA’s estimate of 27 mt. For this year ISMA has put out an estimate of 25.3 mt as against industry estimate of about 20 mt. Based on ISMA’s estimates, large quantities of sugar were exported from Maharashtra and Karnataka last year. With farmers suffering in both these states, most of the cooperative sugar mills and associations I spoke to are supporting removal of import duty but do not want to come on record. I am sure you will appreciate that I cannot reveal the names of associations and officials I spoke to for the obvious reasons. However, if ISMA has contrary views supported by facts, I will be happy to do a story. Subject: Article written by you on sugar in today’s Hindu Business Line. This is in reference to your article titled “Sugar spike – Maharashtra mills want to import” which has appeared in the front page of Hindu Business Line. 2. This article comes as a surprise that Maharashtra mills are wanting import duty nixed because both ISMA as well as National Federation of Coop. 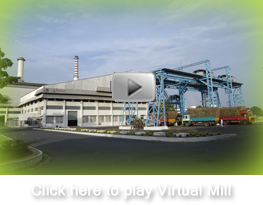 Sugar Factories Ltd. , the two apex sugar associations of private and cooperative sugar mills across the country, including those in Maharashtra, have clearly represented to the Government against any hurried decision on sugar imports. You may be aware that almost half of the sugar mills in Maharashtra are in the cooperative sector and the other half in the private sector, and that there are two State Associations also namely, Maharashtra State Cooperative Federation and West Indian Sugar Mills Association. 3. You have quoted Mr. Vinay Kore of Sri Tatyasaheb Kore Warana SSK Ltd. on this subject. However, you have not stated whether any Association or Federation of sugar mills have informed you about wanting sugar import duty nixed. It is, therefore, requested that if you have received any letter on the basis of which you are suggesting that Maharashtra mills want sugar import nixed, we would be grateful if you could share the same with us. Also, there are almost 150 sugar mills in Maharashtra and, therefore, please let us know how many sugar mills are suggesting for nixing the import duty? Since your article gives an impression that a large section of Maharashtra mills want import duty nixed, it is only fair that a copy of such representation or information that you have, be shared with us in the larger interests of the Indian sugar industry. 4. We would be highly grateful if you could send us information by return mail to allow the sugar industry as whole to give a rejoinder to any wrong conclusion, which is coming out of your article.